THE SECRET TO A HIGH VALUE GUITAR ISN’T CUTTING CORNERS; IT’S CAREFUL, METICULOUS DESIGN AND RESEARCH, AND DISCOVERING AFFORDABLE WAYS TO CRAFT WITH QUALITY, AND USE MATERIALS THAT ARE PERFECTLY SUITED FOR A SPECIFIC FUNCTION. We’ve reimagined the possibilities of the acoustic experience with our new line of AA25 guitars! All acoustic brands struggle to find the balance between high value and high quality. For Austin, finding that perfect in-between has been made possible through careful attention to detail. 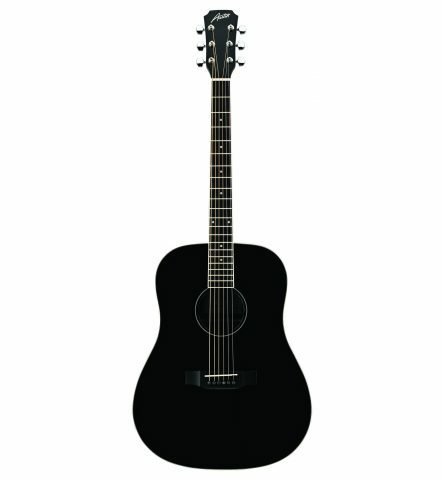 The result is a range of quality acoustic guitars ranging from open pore satin finished models to gloss models. They are made from seasoned spruce and mahogany and their shapes – dreadnought and folk – and are available with or without a cutaway and electric preamp with built-in tuner. The AA25-DBK is built for the guitarist that wants to be heard. Featuring an active preamp with volume, 3 bands of EQ and tuner, it’s ready for stage or studio right out of the box. It’s gloss top gives a high end look and a snappy top end. Scalloped bracing rounds out the tone with a big, round low end. This guitar sounds great plugged in or not!